If you’re new to hosting Easter, or you’ve never facilitated an egg hunt, we’re here to help. We’ve put together a list of Easter egg hunt tips that will help you organise an egg hunt to remember. While Easter egg hunts are often organised for children, a true Easter egg hunt caters to the young at heart, as well. Whether you’re on the ground searching for eggs, or behind the scenes orchestrating the whole event, an Easter egg hunt is a fun, inclusive all-ages event that everyone in your group of friends or family can enjoy. The key to any great event: clear details. Logistics can make or break your event, so be sure to decide the date, time, and location of your egg hunt well in advance. Creating an invitation that covers all the information is easy peasy with our template cards, all you need to do is personalise the details. Hop on over to our egg-cellent collection of Easter cards here. Once your guests have RSVP’d to your personalised invitations and you know how many ‘hunters’ you’re catering for – its time to start collecting the treats. Of course, the number one treat on the list is chocolate – and lots of it! But what motivates participants to make it a friendly but competitive egg hunt? Fantastic prizes, of course! 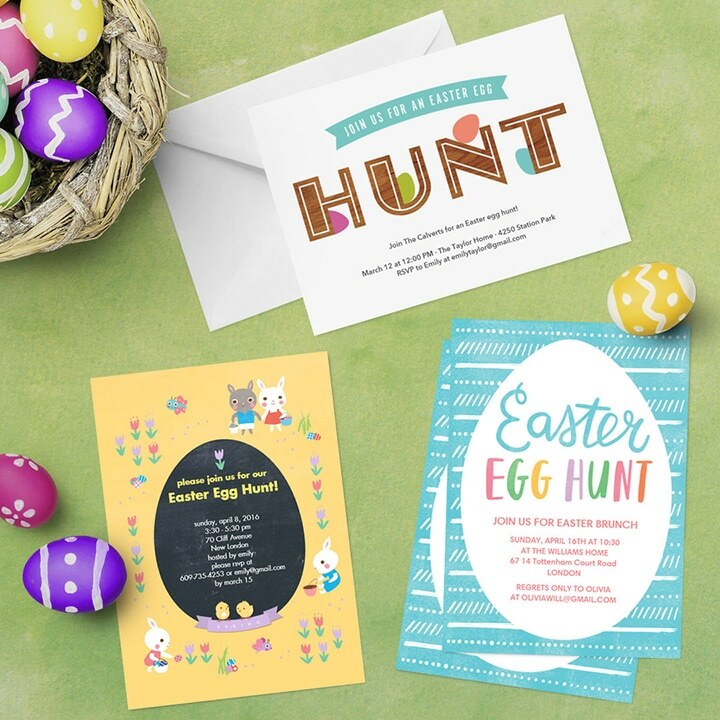 While the children would be happy to scurry around a yard to collect eggs, take your hunt to the next level by incorporating personalised prizes into your egg hunt. 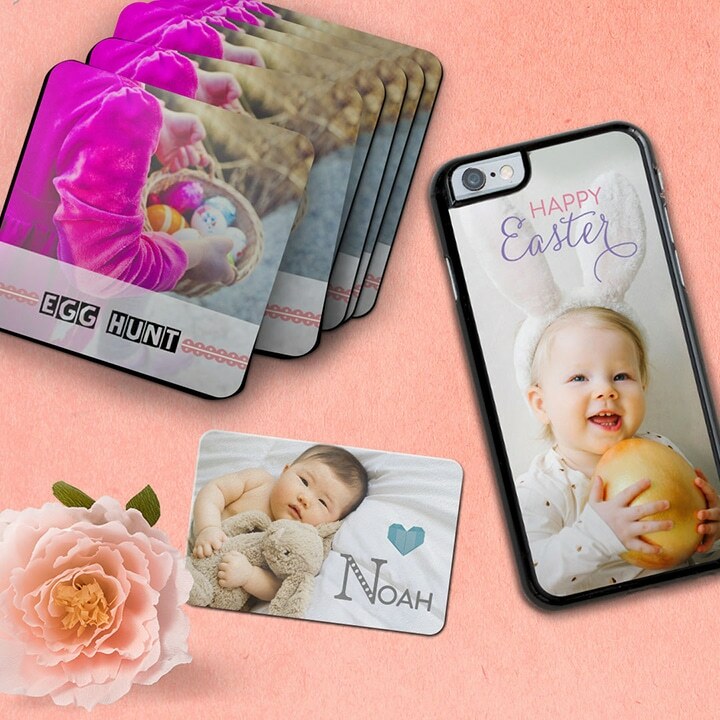 Some cool ideas include coasters, phone cases, keyrings and magnets! Pro tip: Add a photo of each child onto a photo magnet and the challenge is to find their personalised one! Don’t worry adults, we haven’t forgotten about you, or your Easter treats. 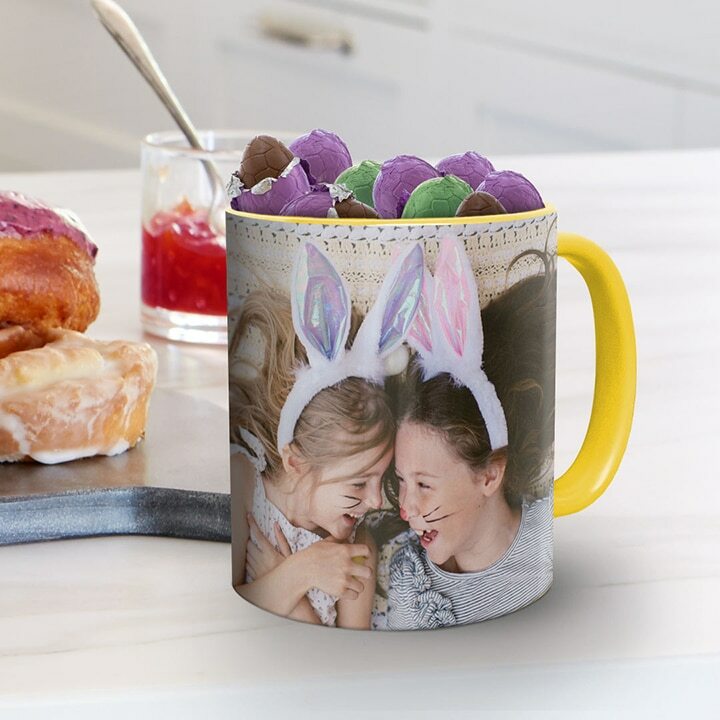 Photo mugs are the perfect gift for the supervisors of the hunt – especially when they are filled with their own Easter eggs! This little token allows the adults to sit back, relax and enjoy some good coffee and chocolate while the hunt is underway. You can shop our fantastic range of photo mugs here. There is guaranteed to be smiles and laughter all day, so be sure to have your camera handy to capture these beautiful moments. 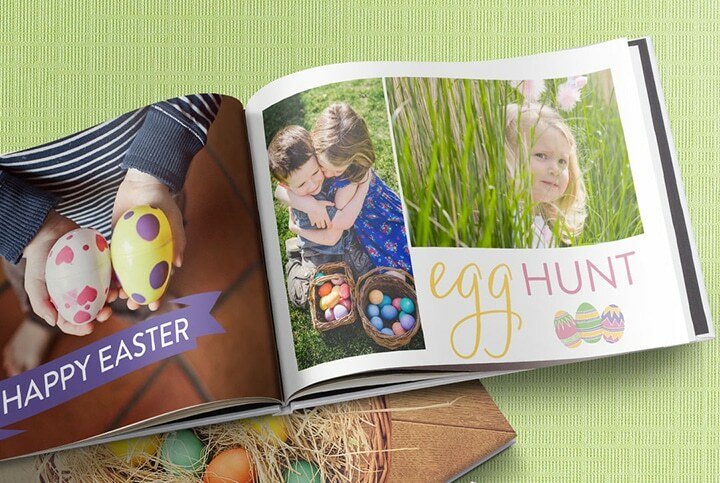 From the start whistle to the last egg found and everything in between, a photo book is a perfect way to hold onto all these memories. Shop our stunning photo books here. Tagged as easter, Easter egg hunt, Easter gifts, top tips.